There’s no better fit than the real thing. Because we designed and built every part of your Citroën, we’re also the best choice for replacing each part in it too. From the smallest detail to the largest component we can supply authentic Citroën Original Equipment, engineered to our exact standards and specifications. No-compromise quality is assured. What’s more, our authentic, durable Citroën Original Equipment are surprisingly good value for money, especially when you consider how long they’ll last and how well they perform. So if you do need something replaced on your Citroën, forget ‘almost right’ – trust the experts to supply and fit the real thing for less than you think. With Citroën Original Equipment you’ll enjoy a minimum of 12 months parts and labour warranty on everything fitted by a Citroën Authorised Repairer. We also offer fixed prices on our 10 most common repairs, including: brake pads & discs, wipers, timing belt and batteries. 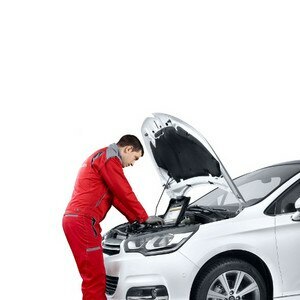 So why not spoil your Citroën with the best expertise and parts. Click below to find out more.